Vale reported profits below analyst estimates and 60% down versus the same quarter last year. The benchmark price of iron ore has dropped to $120/wmt, at part with the price floor identified by the company last quarter. Lower commodity prices and rising costs resulted in earnings drops of 55%, 65%, and 35% for Anglo, Teck, and Barrick. 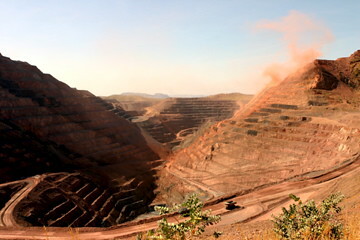 Anglo announced delay of its flagship development iron ore project in Brazil, Barrick announced large cost overruns for its Pascua Lama project in Argentina, and Teck recently tuned back on a large copper expansion project in Chile. They are all reviewing the balance between project investments and shareholder returns. In a rare move amidst cancellation of development projects across the industry Anglo made the move to buy 59% of the 1.4Bt Revuboe coal project in Mozambique. The project is a JV with Nippon and Posco and is planning to start production of 6-9Mtpa by September 2013. Dropping prices + increasing costs = review of development. Most non-agricultural commodity price indices have dropped 20-40% over the past year. Where a year ago the focus of most miners was to bring new projects online as fast as possible, attention has shifted to cost containment and ‘disciplined capital investment’. The focus on building projects is stretching capacity of contractors, making capital and operating costs increase rapidly. As a result the projected returns of projects deteriorate, forcing companies to reconsider their portfolio of development plans.